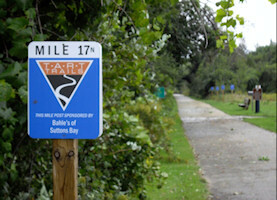 Enjoy the scenery on the trail as you follow the old rail bed in Leelanau County from Traverse City to 4th St. in the Village of Suttons Bay. About half the Trail is paved and half unpaved (hard pack dirt two-track). Click here for more information. 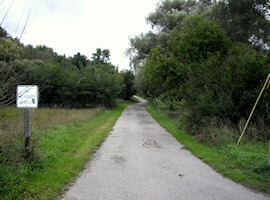 The vision is to eventually extend the trail to Northport.